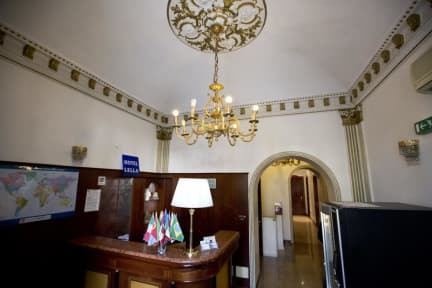 Hotel Lella is located in Rome's historic center, right next to the main train station (Termini) and near all of the city's most important historical and touristic sites, all in walking distance - including the Domus Aurea, the Colosseum, Santa Maria Maggiore, Trevi Fountain, The Roman Forum. 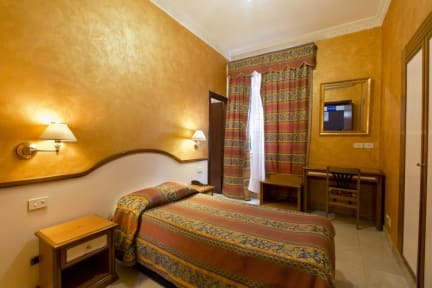 Hotel Lella is 500 meters from Castro Pretorio Metro Station and less than 15 minutes' walk from Termini Train Station. The nearest bus stop is just 100 meters away. Hotel Lella offer shared and private rooms. We also offer Free City Maps and luggage storage. The Lella Hotel is well connected by bus and metro around Rome. It is 250 meters from Porta Pia, one of the gates in Rome's ancient city walls. Bookings cannot be accepted by anyone under the age of 18 unless they are accompanied by an adult of the same gender. You need to notify the hotel either by phone or email if you are arriving after 1am.